The Diplomat speaks with Prof. Eyal Zisser of Tel Aviv University about sanctions against Syria. This week, The Diplomat has been providing coverage of the Syrian crisis from an Asia-Pacific perspective. China has featured prominently, as any escalation against the Assad regime could threaten Chinese national interests. Given the country’s powerful voice within the United Nations, and its ability to undermine the effectiveness of US-led energy sanctions, The Diplomat’s Eddie Walsh is conducting a series of interviews with thought leaders from US and regional think tanks looking at how recent events affect the position of China and other Asia-Pacific. In this second interview in the series, Walsh speaks with Prof. Eyal Zisser, Head of Middle Eastern and African History at Tel Aviv University and Senior Research Fellow at the Moshe Dayan Center. Commentators have expressed doubts as to whether the United States and its European partners can secure support for regime change in Syria from rising Asian powers (China and India) or Russia. Without this support, some analysts doubt the US and EU can achieve regime change through the current round of energy sanctions. What’s your view? Unless there is a military intervention, and I doubt if there will be such intervention, sanctions won’t change the reality on the ground. Thus, the fate of Syria is clearly in the hands of the Syrians, and if they continue in their protest they might bring, at the end of a bloody and long struggle, the collapse of the regime. Israel has important relations with China and Russia. Can you please describe how these two powers are engaging the current Israeli administration on the Syrian crisis, and vice versa? Israel has close relations with both China and Russia. But they do separate between these economic and cultural relations, and between the political aspects. So China and Russia have their interests in maintaining their relations with Iran and Syria, and Israel maintains strong relations with the United States. I don’t see any signs for any dialogue with China or Russia on these issues. Iran, one of Syria’s closest allies, has important relations with China, India, and Russia. Given the economic importance of those relationships, how does Iranian support for Syria affect the positioning of these three powers on Syria? Iran has nothing to do with these countries’ approach to the Syrian crisis. These countries have a traditional position against any interference in any given country’s domestic affairs. In addition, Russia has strong historical relations with Syria that started long before Iran became an intimate ally of the Syrian regime. Israel has long-standing ties with the United States and EU. However, its ties with Turkey also have been particularly strong, although strained as of late. How has the reluctance of Turkey and other Arab countries affected Israeli calculations on Syria? 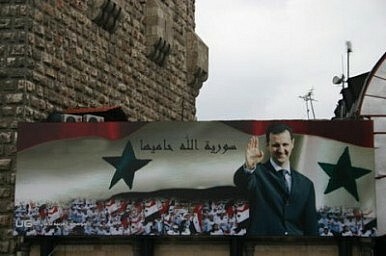 Israel looks at (Syrian President Bashar al-Assad) as the devil she knows. This is why, regardless of any other consideration, it prefers stability and a quiet border over a regime change. So clearly, Israel's approach is different than that of the US or other countries in the region. Some regional experts suggest that Turkey is constrained in part by its reluctance to have Syria turn completely to Iran as this could have long-term consequences for Turkish power in the region. Do you see Iran exploiting this concern and how would such a turn affect Chinese, Indian, and Russian interests in the region? Once again, if Assad falls, Iran will be the great loser because the Syrians in the street will not forget its support for the Assad regime. Turkey may benefit because the alternative to Assad might be a Sunni Muslin government. Russia, China and India won’t be affected. These countries are far away and not too identified with Assad. Lebanon, a member of the UN Security Council, represents a particular challenge for the United States and EU as the country is composed of both elements sympathetic to the opposition and to the Assad regime. Is there any possibility of the US and EU getting Lebanon on-board with energy sanctions against Syria? How are China, India, and Russia leveraging their influence in Lebanon on this issue? China, Russia and India have no influence over Lebanon. Lebanon will try its best to get away from any direct involvement in any move against Syria. But Lebanon isn’t important when it comes to sanctions and, in any case, will not violate any UN decision on Syria. Does Israel foresee any risk in supporting regime change in Syria for its economic interests? Yes, Israel prefers stability. The Assad regime kept the border along the Golan Heights quiet. The fall of this regime may bring with it chaos and a lack of stability in Syria and the activity of terrorist cells that might carry out terrorist attacks along the border. Does Israel believe that the Arab Spring is redistributing global power? No, Israel is very sceptical and thinks that it might bring lack of stability, but not more than that. What Do Asian Governments Think About the US Strike on Syria? A look at what China, Indonesia, Australia, and other Asian states had to say about the strike. America and Iran Square Off Over SyriaSyria and the New Cold WarWhat Does Iran Really Think of China?Achieving Peace on the Korean PeninsulaHow Real Is the Chinese Threat to the United States?